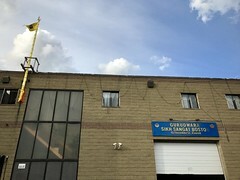 The Sikh Sangat Society of Boston was founded in December 2005. 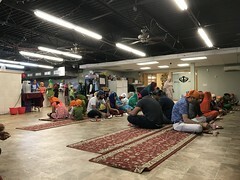 In February 2012, they successfully moved to a larger, permanent location, in order to have a separate langar (community meal) hall, a larger kitchen, classrooms for students, and apartments for visiting leaders. About 500 people of all different ages, mostly of Punjabi descent, attend the services. 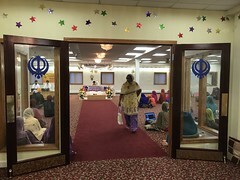 Most of the attendees speak Punjabi, but, during Sunday services, the center provides English translations and phonetic Punjabi translations of the kirtan (Sikh devotional music) on a projector screen. Many attendees live in Somerville, and others live in Boston and the surrounding areas. 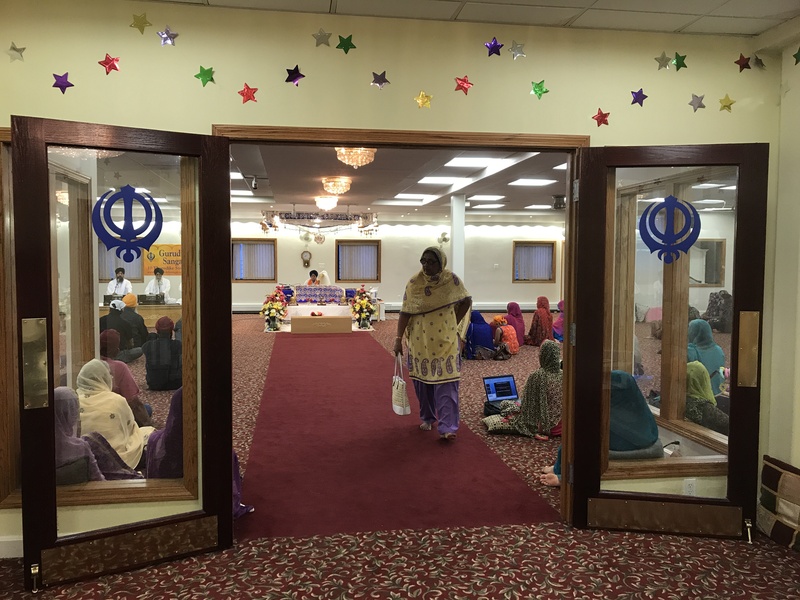 Located in Everett, the Sikh Sangat Society of Boston is tucked away on a side street. There is a beautiful blue and yellow sign outside of the building, and a yellow flag called Nishan Sahib that towers high over the building. A car garage for attendees is located on the ground floor, along with restrooms and shoe racks. 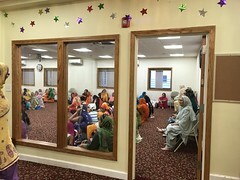 The langar hall and room for worship are located on the second floor. Inside the langar hall, there are beautiful rugs lining the floor, a large kitchen area, and a projection screen of the room for worship. The main services are held on Sundays, but other ceremonies are held daily and weekly. Times of these services can be found at the Sikh Sangat Society of Boston website. The center hires professional religious singers from India to perform kirtan. 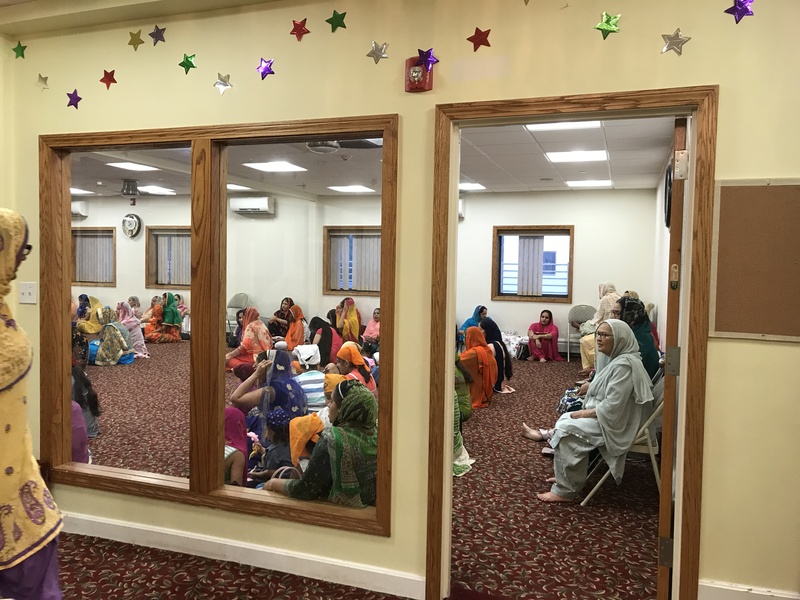 After Sunday diwan (assembly), Punjabi, kirtan, and gurmat (theological) lessons are available. The center celebrates many annual holidays, including Vaisakhi, Gurpurab, and Chhabeel, in which the center passes out free drinks in public places such as Haymarket, Boston Common, and Union Square. Chhabeel commemorates the martyrdom of the fifth guru, Guru Arjan Sahib. The Sikh Sangat Society has a management committee which organizes events and seva (community service). They do not have a specific one religious leader. The Sikh Sangat Society sponsors many projects of seva and opportunities for volunteering and learning. Punjabi and Gurmat Classes, Learn Keertan, Sports – soccer, and Awareness about Sikhism through Media are some ongoing projects. In the past, the society has sponsored a Bone Marrow Drive, support for homeless shelters, free immigration advice, and a Tax Help Event in 2006 and 2007. 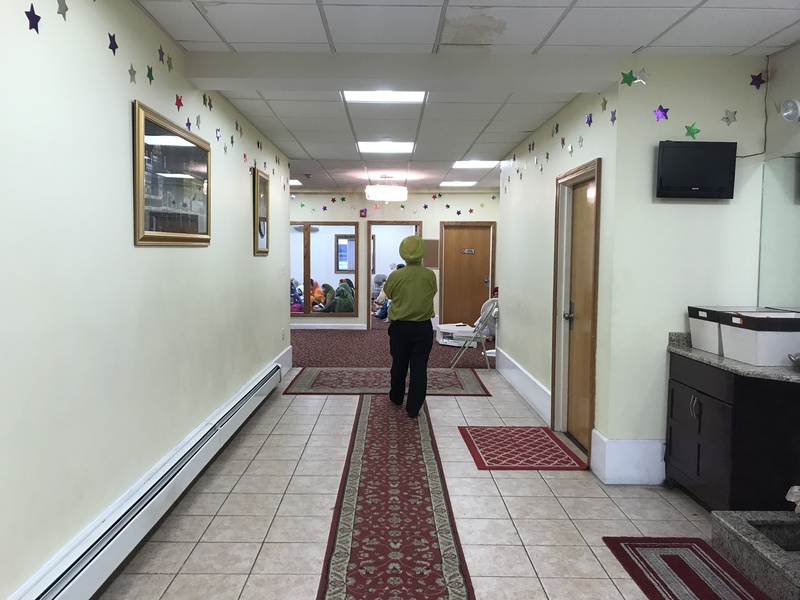 They receive many invitations to interfaith events in the Boston area, and send attendees and representatives from their center as often as possible to the events.